This game got off to a bit of a nutty start, with three lead changes in the first four innings. When the Rockies took the lead in the bottom of the fourth, though, they held it until the end of the game. The Dodgers got on the board almost immediately. Joc Pederson led off the game with an eight-pitch walk off of Antonio Senzatela. 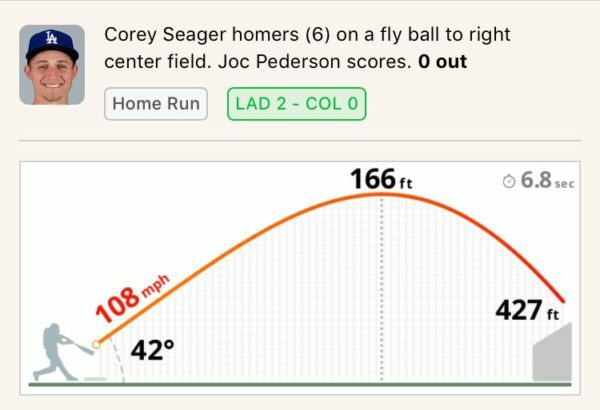 Corey Seager followed that with an eight-pitch at bat of his own, except he sent the eighth pitch 427 feet to right-center field. That top of the first had all the makings of a big inning, as Justin Turner and Yasmani Grandal both reached via base hit. Then, with one out, Chris Taylor bunted, for some reason. Turner was tagged out in a rundown between third and home, and Grandal was tagged out trying to take third in one of the TOOTBLAN-ier double plays you’ll ever see. Things turned around in a hurry in the bottom half of the inning, as Julío Urias gave up three runs on four hits before recording an out. In Julio’s defense, just one of the balls was hit hard, and Chase Utley failed to catch a foul ball a real first baseman would’ve gotten. A double play and a ground out eventually got Urías out of it. Yasiel Puig promptly tied things back up in the top of the second with a solo shot. 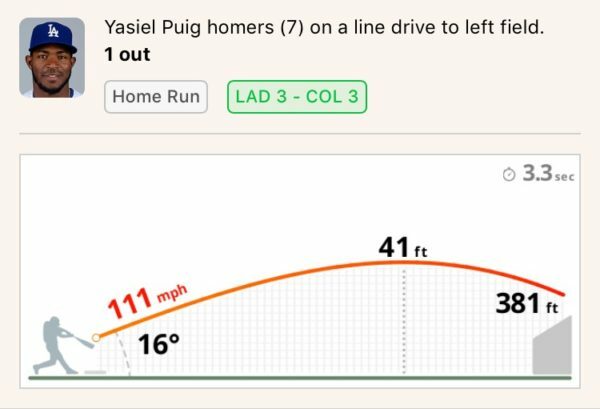 If Corey’s dinger (at 166 feet) was one of the highest of the year, Yasiel’s (at 41 feet) has to be one of the lowest of the year. Seager led off the top of the third with a walk, and took third on a bloop hustle double by Cody Bellinger. The Dodgers regained the lead on a Grandal base hit. Taylor attempted to bunt … again … ??? This time, he struck out. Utley was then robbed of an RBI by DJ LeMahieu. The Rockies threatened in the bottom of the third, but hurt their cause with a TOOTBLAN that rivaled the Dodgers in the first inning. However, Colorado retook the lead in the fourth inning on a two-run home run by Pat Valaika. It was their first home run in the last six games. Urías started the fifth inning, but was removed after hitting Charlie Blackmon. Overall, he allowed seven hits and a walk, and only struck out one. 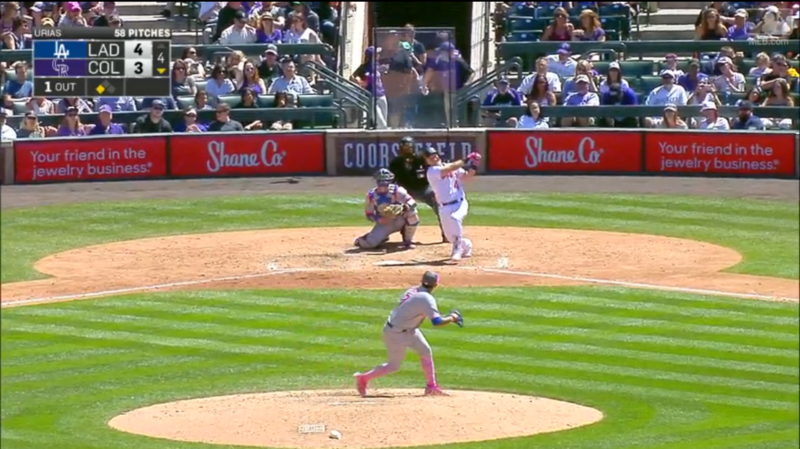 Sergio Romo came in, and he gave up a home run to Nolan Arenado to make it 7-4, Rockies. The Dodgers had a good amount of traffic on the basepaths in the remaining innings, with two runners reaching in the fifth, sixth, and seventh innings, but all were left stranded. Puig led off the eighth inning with a base hit, and Enrique Hernández walked. With two outs, Turner singled to bring Puig home, and Bellinger singled to bring Hernández home, reducing the Dodgers’ deficit to one. The Rockies quickly undid that damage with another Valaika two-run home run in the bottom of the eighth. Greg Holland proceeded to deliver a perfect ninth inning to bring the game and the series to a close. It would’ve been nice to have left Colorado in first place, but, as Brim noted in the game thread, a split and no major injuries is satisfactory. It is only May, after all. And at least the Dodgers won’t be back at this hell field until the end of the season. 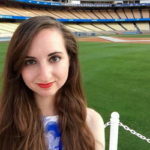 The Dodgers now head to AT&T Park for three games with the Giants who, despite having one of the worst records in baseball, have still managed to beat the Dodgers four of the seven times they’ve played this year. Brandon McCarthy (3.10 ERA, 3.55 FIP, 1.207 WHIP) is slated to return from the disabled list to make his first start since April 29. Matt Cain (4.54 ERA, 4.37 FIP, 1.514 WHIP) will pitch for San Francisco. First pitch is 7:15 PM Pacific.